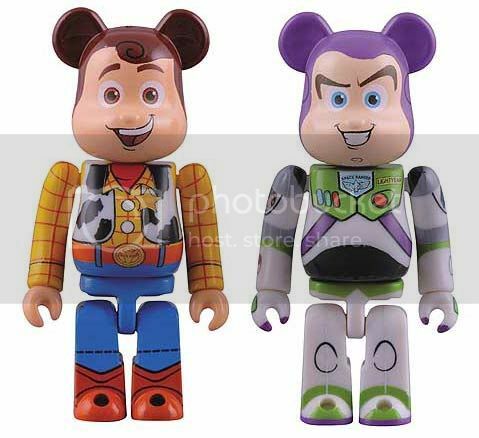 I'm not sure why but I'm kind of freaked out by these Toy Story 3 Bearbricks. There's something about the weird facial expressions that's not right. Or is it more about the eyebrows? Anyways, if you're a die hard Bearbrick collector you'd want to grab one of these at the source link below for a hair below USD 18 of your hard earned cash.